Vitamin C, especially in large amounts, is one of the most effective natural and non-toxic ways to both prevent and treat several kinds of cancer. See the latest compelling evidence. First shown to be a powerful anti-cancer agent in 1971, it wasn’t until the 90’s that vitamin C started to be accepted by the mainstream medical profession as having a role in cancer prevention. Eating a vitamin C-rich diet substantially reduces the risk of several cancers, and high intakes – above 5,000mg a day (the equivalent of 100 oranges) – substantially increases the life expectancy of cancer patients. Numerous studies have found a link between vitamin C intake and the incidence of several different cancers, especially non-hormonal cancers. Also, having a high plasma level of vitamin C cuts your risk of dying from cancer. While one analysis of 12 clinical studies found that, ‘Vitamin C intake had the most consistent and statistically significant inverse association with breast cancer risk', the evidence of an associated decreased risk for breast cancer is not as strong. One study involving 34,000 post-menopausal women, reported no association between the intake of vitamins A, C and E and a reduced risk of developing breast cancer. Since then studies have shown that a high intake of vitamin C and vitamin C rich foods is associated with lower risk of several types of cancer. Also, having a high plasma level of vitamin C cuts your risk of dying from cancer. In recent years vitamin C’s protective effect against lung cancer, gastric cancer, pancreatic has strengthened. While one study did find a protective role in relation to prostate cancer, however other studies have not confirmed a significant role of vitamin C reducing the risk of either prostate or breast cancer. While one analysis of 12 clinical studies found that, ‘Vitamin C intake had the most consistent and statistically significant inverse association with breast cancer risk, the evidence of an associated decreased risk for breast cancer is not as strong. One study involving 34,000 post-menopausal women, reported no association between the intake of vitamins A, C and E and a reduced risk of developing breast cancer. Same as the previous paragraph. The WCRF (World Cancer Research Fund) conclude that there is no evidence of a relationship between vitamin C intake and prostate cancer and insufficient evidence for breast cancer. The studies to date do suggest a big difference between the causes and treatment of hormone-related cancers and those of the lung or digestive tract. These lung and digestive tract cancers may be more related to oxidant carcinogens and prevented by increasing one’s intake of anti-oxidant nutrients. Having an intake above 100mg a day cuts the risk of lung cancer substantially. However hormone-related cancers have hormonally driven risk factors such as raised insulin and IGF-1(elevated by dairy products) and excess estrogens, also linked to weight gain and metabolic syndrome. Overall, the research to date strongly supports the importance of eating a diet rich in vitamin C (see below). While ¬supplementing 1–5g vitamin C may help prevent some cancers, cancer patients are most likely to benefit from considerably higher doses. In terms of your diet, the table below shows which foods contain the most vitamin C per calorie of food. 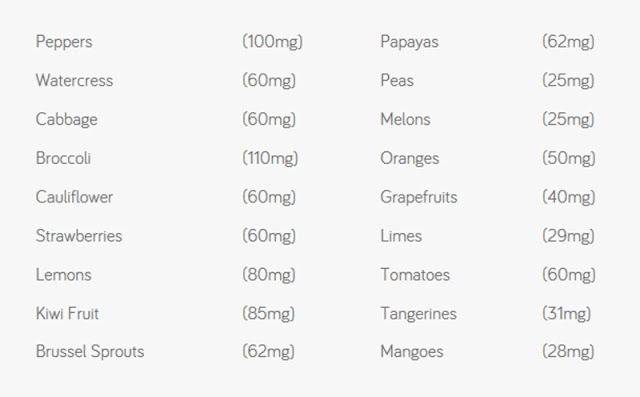 The figures in brackets are the amount of vitamin C in 100g, which is roughly equivalent to a cup or serving. However, the real gold is the potential of high doses of vitamin C, either given orally or by intravenous infusion (IV vitamin C) to dramatically suppress cancer cell growth. The first-ever study in which vitamin C was given to cancer patients was carried out in the 1970s, by Dr. Linus Pauling and Dr. Ewan Cameron, a cancer specialist, working in Scotland. They gave 100 terminally ill cancer patients 10g (10,000mg) of vitamin C each day and compared their outcome with 1000 cancer patients given conventional therapy. The survival rate was five times higher in those taking vitamin C. By 1978, while all of the 1000 ‘control patients’ had died, 13 of the vitamin C patients were still alive, with 12 apparently free from cancer. Other studies have confirmed these findings. Dr. Murata and Dr. Morishige of Saga University in Japan showed that cancer patients supplementing 5–30g of vitamin C lived six times longer than those on 4g or less, while those suffering from cancer of the uterus lived fifteen times longer on vitamin C therapy. This was also confirmed by the late Dr. Abram Hoffer in Canada, who found that patients on high doses of vitamin C survived, on average, ten times longer. However, Pauling and Cameron’s findings were discredited, largely due to an apparent ‘replication’ of their study by the Mayo Clinic in the US. There was, however, one major difference between the original trial and that of the Mayo Clinic. The ‘terminal’ patients in the original trial kept taking vitamin C every day, some of which were also given intravenous vitamin C (IV vitamin C) while those in the Mayo Clinic trial, who were only supplementing, stopped after an average of 75 days. However, by then, the book was closed and mega-dose vitamin C was considered quackery. Since the ‘70’s over fifty thousand studies have been published on vitamin C and cancer, many of which have gone close up on exactly how it might be working to suppress the growth of cancer cells. Of all the antioxidants, vitamin C is the most extraordinary. Vitamin C is believed to help prevent and treat cancer by enhancing the immune system; stimulating the formation of collagen which is necessary for ‘walling off’ tumours; preventing metastasis (spreading) by inhibiting a particular enzyme and therefore keeping the ground substance around tumours intact; preventing viruses that can cause cancer; correcting a vitamin C deficiency which is often seen in cancer patients; speeding up wound healing in cancer patients after surgery; enhancing the effectiveness of some chemotherapy drugs as well as radiation therapy; reducing the toxicity of some chemotherapy; preventing free radical damage and neutralising some carcinogens. However, at high doses, vitamin C starts to act as a pro-oxidant. The discovery that, in high doses, it acts like a pro-oxidant - specifically within cancer cells but not in normal cells - opens up a new avenue of understanding for the potential value of mega-dose vitamin C since many chemotherapy drugs are pro-oxidants – that’s how they weaken cancer cells. An antioxidant like vitamin C is a molecule that has free electrons to donate. Think of it as a ‘high energy’ particle, or a particle with ‘extra information’. Normally, it can disarm harmful oxidants by giving them a free electron so they become stable and no longer dangerous. At that point, vitamin C becomes an oxidant, called dehydroascorbate. In normal cells, it is reloaded back to an antioxidant. In other words, all antioxidants become pro-oxidants if they are doing their job properly, but only temporarily. So you don’t get much dehydroascorbate in normal cells. Dr. Mark Levine, from the American National Institutes of Health, found that even massive levels of intravenous vitamin C were completely non-toxic to normal cells. But something very different happens in cancer cells. Vitamin C researcher Dr. Steve Hickey, from Manchester Metropolitan University, explains: “In cancer cells, it’s quite different. Tumor cells are damaged and have higher levels of unstable metal ions, such as iron. The mixture of free iron and vitamin C generates hydrogen peroxide inside a tumour. As a consequence, it poisons the tumour cells or it generates dehydroascorbate which poisons them". He’s careful to point out that this is one mechanism that’s thought to explain why vitamin C is so toxic to cancer cells, but there may be other mechanisms. 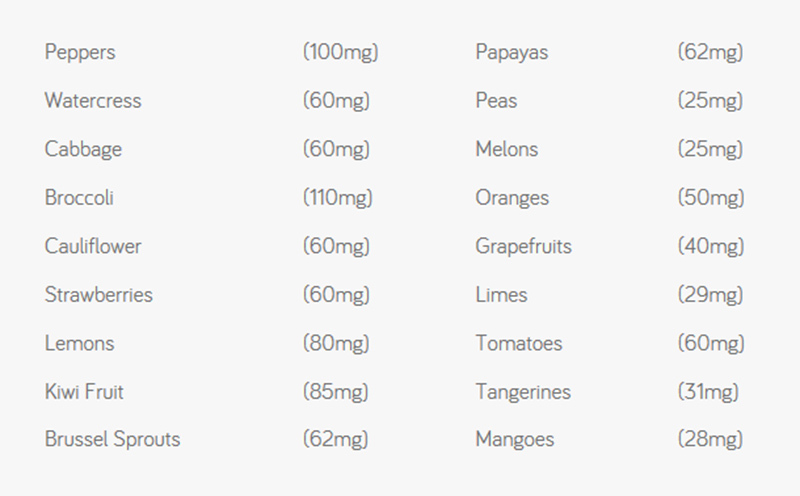 Vitamin C, after all, has about a dozen functions that enhance your body’s natural immunity. At one level you can think of a cancer cell as a cell that’s lost information, or has low energy. It actually reverts to a primitive way of surviving with disregard for its neighbors. By increasing nutrient intake you are adding energy, or information, into the system to restore health. At a cellular level, there’s no doubt that vitamin C is profoundly anti-cancer. A series of detailed studies have shown that many types of cancer cells simply can’t survive in a vitamin-C rich environment and intravenous vitamin C given to animals with aggressive and hard-to-treat tumours caused the cancers to shrink by between 41 and 53 percent. But does it work in practice with people facing cancer? It’s very hard to set up a proper trial with cancer patients comparing its effect against other therapies in a highly regulated and competitive area of medicine. There are also ethical issues. Also, vitamin C, being non-patentable, is not welcomed by pharmaceutical interests. What we do have, however, is published case reports. Dr. Mark Levine from the American National Institutes of Health has published case studies of people with advanced cancer who have responded very well to intravenous vitamin C.
Another study involved a group of 11 terminal patients with multiple bone metastases that were not responding to treatment. Within weeks of starting weekly IV vitamin C, their pain levels had reduced by 55%. They survived longer than expected but it was too late for a cure. There’s a kind of aggressive brain tumour called a neuroglioma. A recent case report of a child who was diagnosed at age 14 months. From the age of 2.8 years, he was started on high-dose IV vitamin C for 30 months. After 30 months there was a marked reduction of his tumours and one had disappeared. A case report of nine people, treated in Singapore with IV vitamin C reported “survival beyond prognosis, improvement in the quality of life, safe co-administration with improved tolerance of conventional therapy, and deterioration in clinical condition following withdrawal of vitamin C therapy. These are all published cases in medical journals but there are many more reports from people who’ve opted to try a high dose or IV vitamin C therapy. Vitamin C is also often indicated as cytotoxic (cancer killing) from chemosensitivity testing, a process which actually tests chemotherapy agents against actual circulating cancer cells. IS HIGH DOSE AND INTRAVENOUS VITAMIN C SAFE? One of the first steps when researching a new therapy is to establish that it is safe. Thanks to a comprehensive survey of 172 practitioners who had collectively treated over nine thousand patients with an average of 22 IV vitamin C treatments we have a good understanding of the safety of this therapy. With an average IV dose of 28 grams, out of over 200,000 IV vitamin C treatments, there were 101 reported side effects which the researchers described as ‘mostly minor, including lethargy/fatigue in 59 patients, change in mental status in 21 patients and vein irritation/phlebitis in 6 patients.’ Publications documented serious adverse events, including 2 deaths in patients known to be at risk for IV vitamin C. Those who are at risk of adverse effects and not suitable for vitamin C therapy are those with kidney disease and glucose 6 phosphate dehydrogenase deficiency. Three studies further investigated the safety aspect of IV vitamin C (IVC) in advanced cancer patients. In the first, carried out by John Hoffer son of the late Dr. Abram Hoffer, Professor of Medicine at Canada’s McGill University gave 14 patients IVC which ‘was safe and generally well tolerated, although some patients experienced transient adverse events during or after IVC infusions.’ They found that ‘tissue uptake of vitamin C increases after chemotherapy, with no increase in urinary oxalic acid excretion. Although the study was about safety not efficacy, three patients with different types of cancer experienced unexpected transient stable disease, increased energy and functional improvement. Another trial by researchers at the American National Institutes of Health involved giving patients increasing doses up to 110 grams over 4 weeks. All doses were well tolerated. The purpose of the study was to work out what dose achieved optimal blood levels for killing cancer cells. The conclusion was 70 to 80g dose. Another study; in Japan, where vitamin C therapy is more accepted, gave relapsed patients with non-Hodgkin’s lymphoma increasing doses of IV vitamin C and achieved the desired blood level of 15mm with a 75g dose. ‘No obvious adverse drug reaction was observed in patients’ the researchers reported. 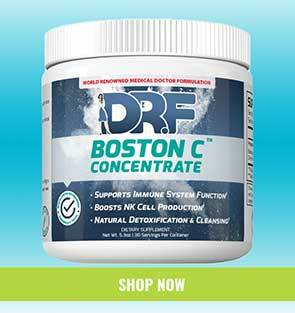 In case you didn't know, the old rumor that vitamin C leads to kidney stone formation, it doesn’t. This was due to some earlier badly designed studies that suggested that vitamin C led to more oxalic acid excretion. This is not the case. However, taking large quantities of vitamin C still taxes the kidneys to some extent and those with poor kidney function are therefore not ideally suited to high dose vitamin C treatment. There is a general concern among doctors that high dose vitamin C will somehow interfere with chemotherapy or radiotherapy. Most studies that have tested the safety of high dose vitamin C have reported that patients feel better and that if vitamin C is given alongside chemotherapy or radiation therapy, there are fewer side-effects. A good example of this was a study; in Germany, where 53 out of 125 breast cancer patients were given IV vitamin C alongside chemotherapy. Those having simultaneous vitamin C therapy reported less than half the intensity of side-effects ‘in particular of nausea, loss of appetite, fatigue, depression, sleep disorders, dizziness, and hemorrhagic diathesis’, concluded the researchers. ‘No side-effects of the IV vitamin C administration were documented. Given that vitamin C is an antioxidant some doctors are reluctant to give high dose vitamin C, even though it acts as a pro-oxidant within cancer cells if you get the level high enough, alongside radiation treatment. This concern, however, may not be justified. A study on pancreatic cancer reports that high dose vitamin C actually makes pancreatic cancer cells more responsive to radiotherapy. When vitamin C was given alongside radiotherapy in animals with pancreatic cancer the vitamin C helps reduce the tumour growth, increase survival and reduce adverse effects. Another study, this time on leukemia cells, found that high dose vitamin C made the radiotherapy more effective, not less. A clinical trial in 2017 confirmed that ascorbic acid does not reduce the anti-cancer effect of radiotherapy. While it is too early to say in relation to human trials and treatment it is certainly looking as if taking high dose vitamin C alongside radiotherapy will reduce its toxicity but will not reduce its effectiveness, and may even improve it. She finds it beneficial to give both intravenous and oral vitamin C and reports that patients feel better. Nor is there any evidence that it interferes with radiotherapy. HIGH DOSE VITAMIN C – INTRAVENOUS OR ORAL? “Pharmacological concentrations of plasma ascorbate, from 0.3 mM to 15 mM are achievable only from IV administration. Plasma concentrations achieved from maximal possible oral doses cannot exceed 0.22 mM because of limited intestinal absorption”. But Dr Steve Hickey, author of Ascorbate: Science of Vitamin C – a book well worth reading if you’re contemplating intravenous mega-dose vitamin C treatment for cancer - disagrees “We’ve measured 0.25mM from a single 5 gram dose of vitamin C and recorded 0.42mM with a 36 gram dose of liposomal vitamin C. It looks like you could sustain a level of 0.4, and possibly 0.5 mM in the plasma if you keep taking in vitamin C at a high level,” says Hickey. In case you are wondering what ‘liposomal’ vitamin C is, it means that the vitamin C is encased in a ‘liposome’, which is a tiny bubble made out of the same material as a cell membrane. This ‘capsule’ can be filled with drugs and used to deliver drugs for cancer and other diseases. In this way, the drug – or vitamin C in this case – is able to get directly into the cell itself to do its job. In Levine’s cancer studies, giving enough vitamin C intravenously to achieve a level of 0.28 mM was toxic to cancer cells, and is clearly achievable with oral vitamin C. Hickey’s point is that while intravenous treatment might involve one hour of maximizing plasma levels to a point not achievable with oral vitamin C, and be more toxic to cancer cells and viruses during that time, if you keep taking high oral doses, with 3 grams or more every four hours, you can achieve an accumulative build-up of blood levels. So you have a more continuous anti-cancer effect. Of course, doing both, which is what Linus Pauling and Dr. Ewan Cameron did back in the ’70s, may be the best strategy. This makes intuitive sense for a number of reasons. Firstly, there’s so much evidence that the higher your intake of vitamin C the lower your cancer risk and it would be very unusual if low dose vitamin C, even the levels achieved in a high fruit and vegetable diet, worked in a totally different way to higher doses. Then there’s the fact that high oral doses do clearly work, as Drs Murata and Morishige of Saga University in Japan showed with cancer patients. Advocates of vitamin C have long known that the most therapeutic intake is the ‘bowel tolerance’ level. That means taking as much as causes you loose bowels, then reducing the dose slightly. Now, the interesting thing is that when a person has cancer or a viral infection, they can often tolerate way more than usual – often 10 to 50 times their normal amount. Often, people with active cancer can tolerate 50 grams a day without achieving bowel tolerance. The main argument for oral vitamin C not working in the way that intravenous vitamin C does is that it can’t be absorbed. But if a person isn’t getting loose bowels, then it’s going somewhere - probably to the cancer cells. WHICH IS THE BEST FORM OF VITAMIN C? Vitamin C comes in two forms – ascorbic acid and ascorbate. 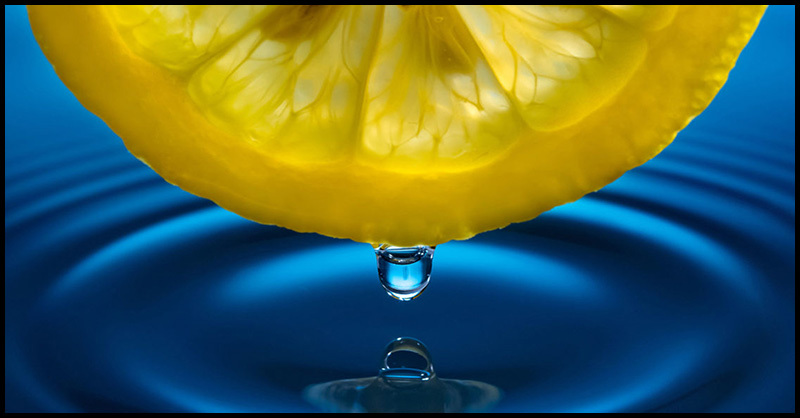 Ascorbic acid is mildly acidic and ascorbate is alkaline. If you are taking in high amount my preference is ascorbic acid. A study on breast cancer cells exposed them to either ascorbic acid or potassium ascorbate or both. They measured the growth of these breast cancer cells and found that the combination worked best. Overall, the results of the present study indicated that potassium potentiated the anti-tumoral effects of ascorbic acid in breast cancer cells in vitro.’ concluded the authors ; I prefer ascorbic acid. My advice is to take ascorbic acid up to bowel tolerance. To dig deeper on other natural ways to reduce your risk for cancer read Say No to Cancer by Patrick Holford with Liz Efiong. Important Notice: This article is originally published by Patrick Holford in his website www.patrickholford.com where all credits are due. Below is the list of references he used in making this article. 13. S.J Padayatty et al., 'Vitamin C: intravenous use by complementary and alternative medicine practitioners and adverse effects', PLoS One Journal, 2010, 5(7):e11414. 20. J. Sebastian et al., 'Intravenously administered vitamin C as cancer therapy: three cases' CMAJ. 2006 Mar 28; 174(7): 937–942. 22. N. Mikirova et al., High-Dose Intravenous Vitamin C Treatment of a Child with Neurofibromatosis Type 1 and Optic Pathway Glioma: A Case Report. https://www.ncbi.nlm.nih.gov/pubmed/27773919, American Journal of Case Reports. 2016, Oct 24;17:774-781. 23. Y.C Raymond et al., 'Effects of High Doses of Vitamin C on Cancer Patients in Singapore: Nine Cases. ', Integral Cancer Therapy, 2016, Jun;15(2):197-204. doi: 10.1177/1534735415622010. Epub 2015 Dec 17. 25. Shareck M et al., 'Inverse Association between Dietary Intake of Selected Carotenoids and Vitamin C and Risk of Lung Cancer'. Frontiers in Oncology, 2017, Feb 28;7:23. 29. H.S. Kiziltan, 'Ascorbic-acid Treatment for Progressive Bone Metastases After Radiotherapy: A Pilot Study', Alternative Therapies in Health and Medicine, 2014, Oct;20 Suppl 2:16-20.